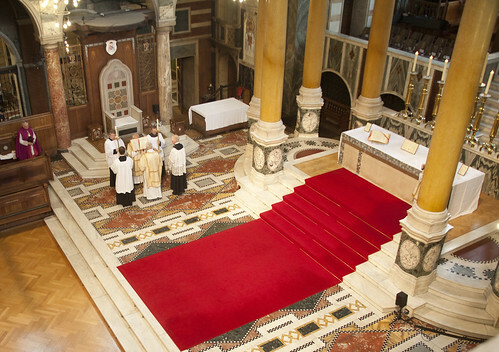 Yesterday we had our AGM, followed by Mass in Westminster Cathedral. For the first time, I was able to take photos from some of the galleries. See, I have the power of bilocation. 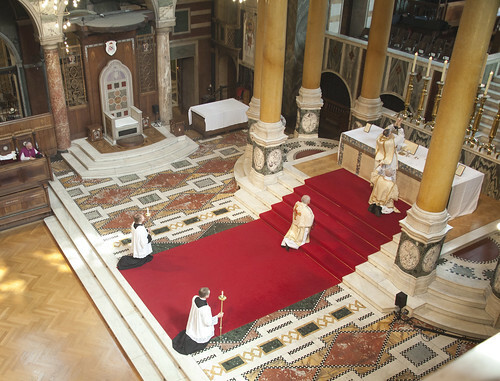 I pressed the button for both of the above photographs of the Consecration. One was remote-control, however. The celebrant was Fr Anthony Glaysher, a parish priest on the Isle of Wight who is the LMS Regional Chaplain for the South West. 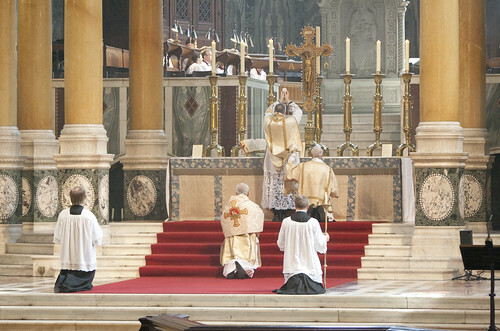 He also gave an excellent address to the AGM before Mass. 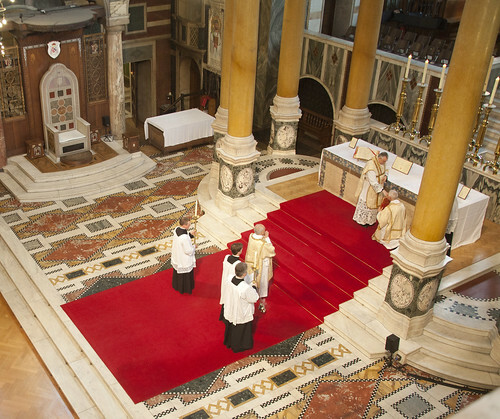 The deacon was Fr Young of the Ordinariate, the subdeacon was Fr Patrick Hayward. The only trouble with leaving one camera in the gallery was that I was more limited than I otherwise would have been in the lenses I could use from the ground. 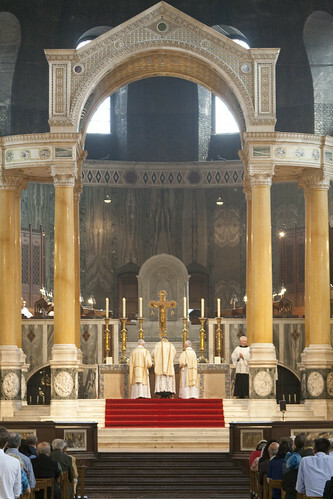 The above photo was taken with a zoom lenses from miles back in the nave. 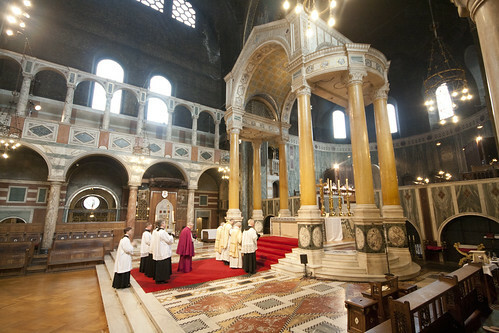 Westminster Cathedral does, of course, have a very long nave! 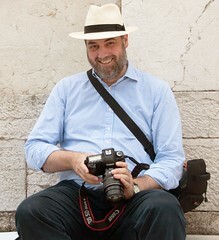 The photo below was taken with a wide-angle lens. 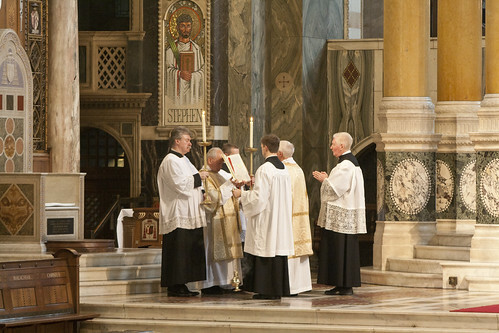 If you want to support the work of the Latin Mass Society, become an Anniversary Supporter. What happened to the Bishop ? 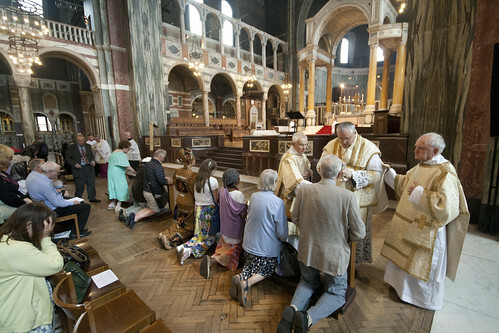 Nothing - it was my mistake, Bishop Arnold is saying Mass for our Annual Requiem in Westminster Cathedral in November.